Facial sugaring or facial hair removal using sugar paste has gained a well-deserved popularity and has a number of undeniable advantages over other methods of removing unwanted hair. The procedure allows you to get a smooth skin without a lot of pain and irritation for as long as 3-4 weeks! • no risk of burns,which can happen with machine hair removal, and also nodamage to the metabolic processes in epidermal cells. In addition, sugaring is equally effective for removing light facial lanugo hair, as well as fighting dark coarse one, whereas photoepilation can deal only with the dark hair. The laser, on the contrary, is very sensitive to melanin and one can get very bad burns in the areas of even very light pigmentation,birthmarks or moles. 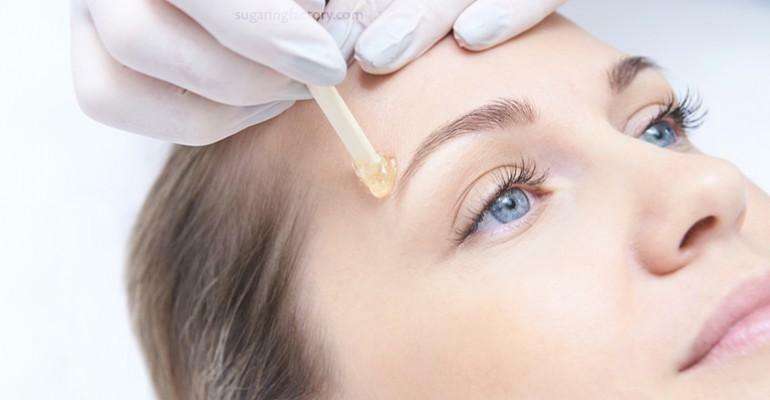 Facial sugaring performed correctly is a highly hygienic and absolutely safe procedure. Positive attitude, calmness of the practitioner and client, inspired by the future result, will help to make the procedure enjoyableand get a stunning result!